(Seychelles News Agency) - Well-known Seychelles lawyer Bernard Georges has been appointed Judge of the Court of Justice for the Common Market for Eastern and Southern Africa (COMESA). According to a press statement from the Ministry of Foreign Affairs, Georges was officially endorsed as one of the court’s 12 judges on Monday by the heads of state and government of the authority during COMESA’s 18th summit meeting currently being held in Addis Ababa, Ethiopia. 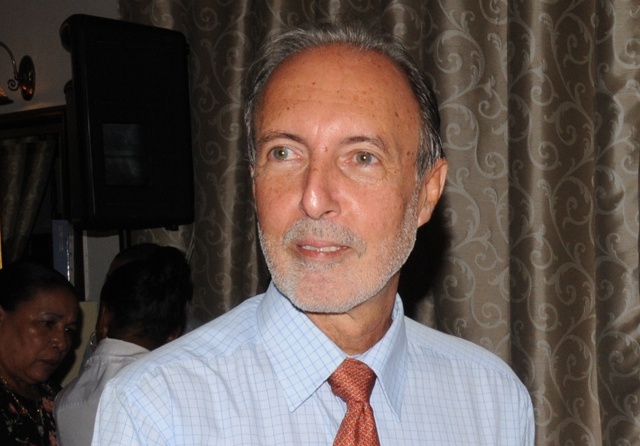 The Seychelles delegation to the Summit is being headed by Seychelles Vice President Danny Faure. Georges, who is 60 years of age, was elected as one of the twelve judges to the Court of Justice during the meeting of the Ministers of Justice of the organization on March 4 in Khartoum, Sudan, where the Court of Justice is permanently based. The court meets on an ad-hoc basis when there are legal cases related to the interpretation and application of the COMESA Treaty to be heard. Both the public and private sectors within the COMESA region may take their international trade disputes to the Court of Justice for resolution and settlement. This is the first time a Seychellois has ever been appointed to the Court of Justice. Georges’ term of office will be for five years, commencing in July this year. "The only thing I can express is a feeling of great pride for the Seychelles and a great personal humility to face this new challenge," Bernard Georges told SNA in a telephone interview on Tuesday morning. He believes that if it had not been him, it would have been another Seychellois legal practitioner. "It was the turn of the Seychelles and it just so happens that it was my name that had been proposed," he stated. Georges explained that the Seychelles authorities had informed him of his appointment a fortnight ago, but nevertheless said he was surprised to have been chosen for the position. He said he learned of his official confirmation via the media yesterday. "I've never aspired to being appointed a judge... I am very happy with this appointment, because... I would not have liked to have been a full-time judge,” he said. “They will call on me when they have need of my services, but the rest of the time I prefer to continue to be a lawyer, a teacher at the University of Seychelles, and to write. To do what I do, that's my preference,” he explained. According to a press release from the Office of the President, Seychelles President James Michel sent a letter of congratulations to the new judge today. “Your appointment to the Bench of COMESA is a well-deserved recognition of your professional qualities as a legal practitioner and an endorsement of the confidence that our neighbours and partners on the African continent place in you and in Seychelles. It brings immense pride and satisfaction to Seychelles, as well as added visibility to our country,” said Michel. George became well-known in Seychelles for his legal radio programme on the local Seychelles Broadcasting Corporation's SBC Radio beginning in 1993, explaining the law to laymen in a very simple way. Georges has a law firm with his wife Annette called "Georges and Georges”, and he specialises in civil law, particularly property and commercial disputes. Currently, Georges is working on two prominent cases; defending local construction company Vijay Construction in a civil suit brought before the Supreme Court by the engineering firm that managed the recently-built five-star Savoy Hotel project, as well as representing Multichoice Africa against Intelvision, a local cable TV provider in a longstanding dispute over distribution rights. Bernard Georges was also a prominent opposition politician who was a member of the Seychelles National Assembly for the Seychelles National Party (SNP) from 2007 to 2011 as a representative of the district of Les Mamelles, a suburb of the Seychelles capital, Victoria.